A few weeks prior to their stellar set last week at Hype Hotel down in Austin, LA natives Cold War Kids visited their local radio station, KCRW, to perform a fresh track off their forthcoming, fourth LP, Dear Miss Lonely Hearts (4/2 via Downtown Records). Like the album's first, piano-inspirative single, "Miracle Mile", their latest song, "Loner Phase", brings us a reinvigorated and exploratory Cold War Kids. 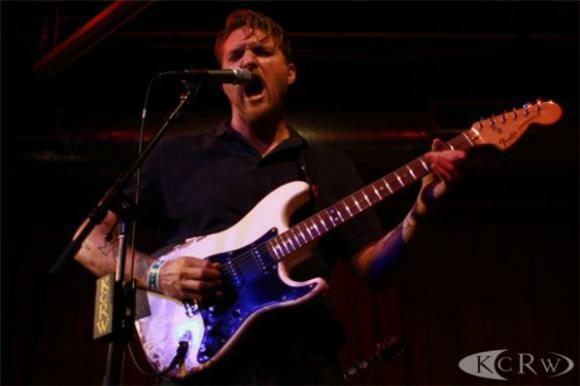 Stay tuned in the coming days as our very own video of Cold War Kids' entire Hype Hotel performance makes its way into the concerts section of our site. Until then, click here to find more concert videos from our week down in Austin.